After glancing their menu, we ordered different items (for the set lunch) so we could share sample them. First up were the appetisers; Caesar Salad and Bruschetta. Both of them were alright. 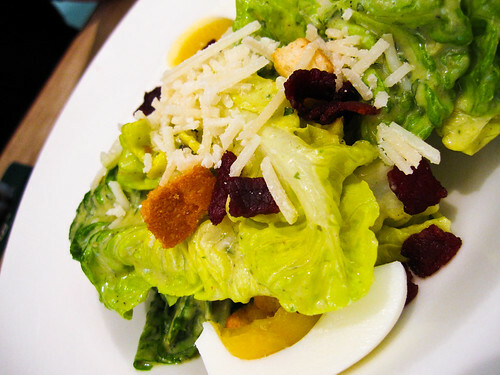 There were ample amount of beef bacon in it but only half of hard boiled eggs on salad. 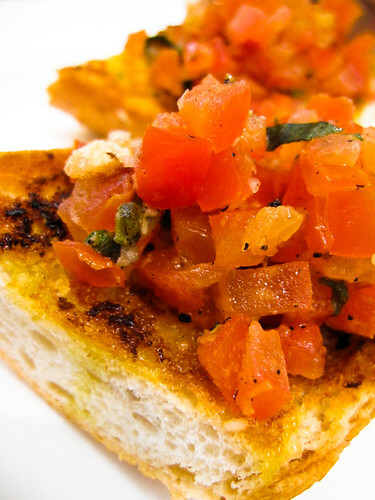 As for the bruschetta, they could have been better. The toast was somewhat lack of taste compare to other place and it would be great if they add some cheese in it. 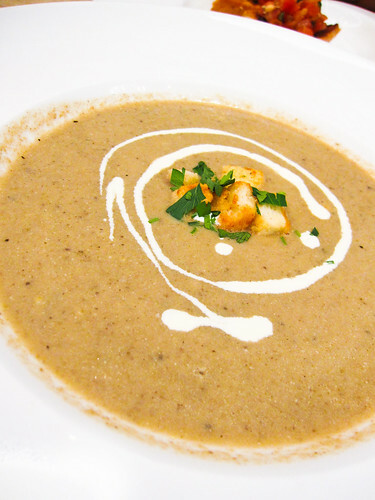 On top of that, I opted for extra bowl of Creme Di Funghi (Wild Mushroom Soup). Although there were bits of mushrooms, but it was on the diluted side. 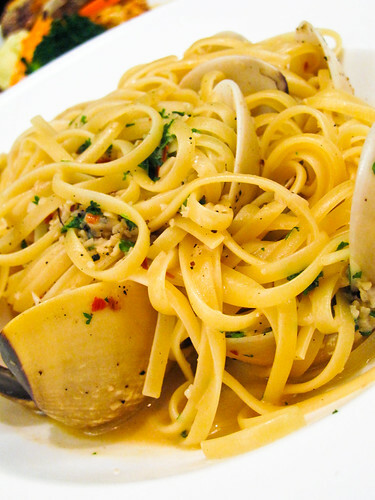 Linguine Con Vongole was below par. The linguine was slight hard to chew while the sauce that came with it was rather bland. The only plus point was there were lots of clams in it. In the end, we didn’t finish it except for the clams. 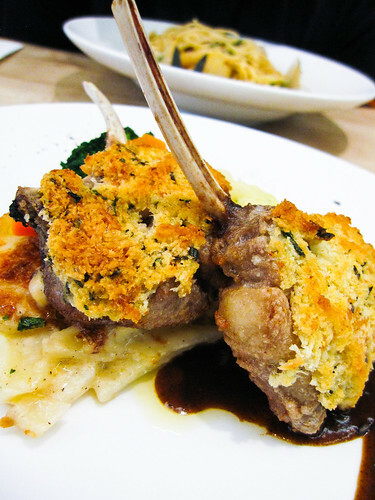 Agnello Al Forno also known as Lamb Rack. Honestly, I think it is a brilliant idea to have it coated with bread crumbs. The texture of the bread crumbs went well with the lamb meat. But… there were layers of fat on my portion on that day. Otherwise, it would have been a perfect meal. Presentation wise was alright but the portion size was pretty disappointing. Although I know it’s under set lunch but seriously, what’s the point of serving such a small portion? The size was as good as one half tea spoons only. Besides, tiramisu was a total failure wasn’t nice. Not a single bit. I felt like I was eating ordinary chocolate powder-coated sponge cake more than a real Tiramisu. 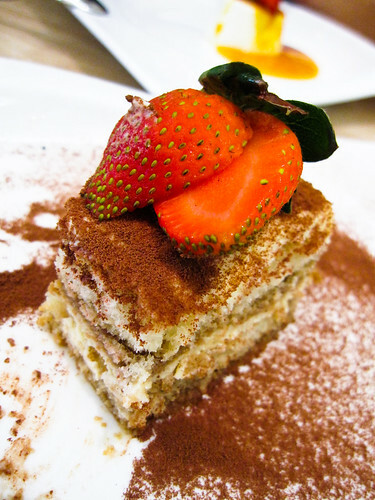 There are other better ones (Tiramisu) out there and this is not one of them. Seriously. Same goes for the bland-taste Panocotta. It’s either their typo or their way of naming the dessert. 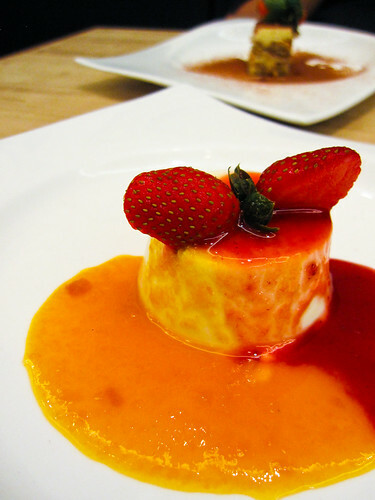 Normally, it is called Panna Cotta. All in all, if weren’t for the fatty lamb and tiny desserts, it would be a good place to dine in. Moreover, that being said, there are better restaurants and hence, this may not be my first choice when comes to Italian food. Hi .. Do i need to make reservation or booking on dinner for this coming Saturday (22dec2012) ?